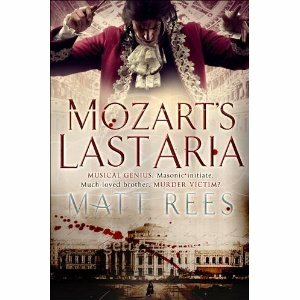 Matt Rees's new book, Mozart's Last Aria, is the tale is Mozart's sister's attempts to uncover the truth behind his death. Was it as innocent as some people try to insist? Or is Nannerl right to probe beneath the surface? Thrust into a world of unexpected political intrigue, Nannerl uncovers more than she could ever have imagined. Laura Harman meets Matt Rees to talk music. Obviously music is central to the book; nearly every scene features music in some way. When you were writing it, did you have specific pieces playing in your mind? Playing in my mind and playing on my stereo. More broadly, I structured the novel around Mozart’s A minor piano sonata. He wrote it in response to his mother’s death, so it begins – like a crime novel – with the disturbance of death. Then there’s a second movement that investigates the themes, and finally the third movement resolves them, like a detective letting us know whodunit. The music enabled me to create the right mood in myself to write a particular scene. It’s a technique I learned from some classical musicians. They visualize a colour when they play a particular piece, to give themselves the right emotional feel. It isn’t just about tinkling out the right notes. I put on the music you refer to in the most dramatic scenes and found that I was completely enthralled, all my senses heightened. Do you recommend a knowledge of Mozart's music to get the most fully out of the book? It isn’t necessary – though even people who don’t think they know anything about Mozart’s music will have heard a lot of his music and will recognize it when they listen. I include a list of the music in the book at the end of the novel, and on my website I have links to the music (http://www.mattrees.net/mozart_extra_music.html), so readers can listen along, as it were. I wrote the book in such a way that a crime fiction reader who knows little about music will enjoy it as a mystery, while also learning about the performance and structure of Mozart’s music. For those who do know about Mozart’s music, I hope it’ll make them think again. When I listened to the music he wrote at the end of the life, under the shadow of death, it seemed to me I was hearing it for the first time, in the light of the new historical research about his life. I tried to include that sense in the book. Why do you think Mozart's music is still so relevant today? For classical musicians, he’s still the most inspiring. Zubin Mehta, the great conductor, told me Mozart was the one composer he couldn’t live without. I think his music is equally inspiring for average music buffs, too. At the heart of his music, there’s a sense of calm that you don’t get in Beethoven or anyone else. He sets up a certain tension in his music and resolves it. Though many of us don’t know it, this is what we strive to do in our lives – to find the peace that is there for all of us when we aren’t too focused on career or mortgages or other negative pressures. Mozart’s music also has a scientifically proven ability to soothe us, whether we have a particular malady (like attention deficit disorder) or just a stressful life. He’s the Dalai Lama of music. Some of the language you use is classically, Gothic-ly, beautiful. Did you intentionally echo the music in your words? That’s a very interesting idea. I think it probably happened because I was able to enter the character of Nannerl, my narrator, quite fully. Even though she’s a woman of another age. When I first saw her portrait (in the house in Salzburg where she and Wolfgang were born), something about her called to me immediately. I felt a very strong pull toward her, which is why I wrote the novel, in many ways. So I decided the language wouldn’t be too modern, but I also felt a sense of how she would talk as I was writing – and how she would think in the descriptive passages. It’s a conscious process a historical fiction writer must make, but over the many months of writing it becomes as natural as, say, playing a particular piece of music again and again. The language has become part of you. 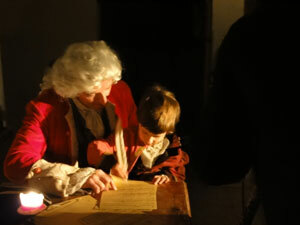 Matt and son Cai dressed up as Mozart and son to film a video trailer for MOZART'S LAST ARIA. How do you feel about the Mozart put forward in Amadeus? Do you think that harms his identity? Though Amadeus is a great play and film, it’s based on a very outdated historical conception of the great man. The idea that Mozart was a smutty buffoon comes from some very snobbish letters written by Austrian aristocrats about his behaviour. It would be like basing our view of The Beatles on what Harold MacMillan thought of them. There’s a lot of more recent historical research (and Mozart’s own letters confirm) that he was an intellectual with a profound belief in the philosophy of the Enlightenment (liberty, equality, brotherhood), as well as a deep classical education. Amadeus is fiction – as is Mozart’s Last Aria – but so many people now take it as a true portrayal of Mozart that I think it does damage his historical standing. It brings some people to listen to his music as nothing more than pretty tunes which have no intellectual heft. In fact, his operas were controversial social commentaries. The historical research on which I based Mozart’s Last Aria shows that his political/social/philosophical views got him into trouble with the Emperor’s secret police. Was it difficult writing from the point of view of a character who is so restrained by society? I’ve tried all my life to be as free as I can. It isn’t always easy and it’s been a struggle, psychologically at times, to avoid the traps that society tries to steer us toward. What has kept me on course (though my mother might say “off course”) is the impulse to be creative, to write and paint and make music. So I found I was able to relate to the (admittedly more repressive) situation of Nannerl Mozart. She was forced to abandon a career in music because her father put the emphasis on her brother Wolfgang’s talent. But I see her as maintaining the core of herself by continuing to play the piano and sing until the end of her life. Creativity was her lifeline. How far do you think we've moved away from Nannerl's time, really? We are more equal, of course, but fully? Do you think there's a place for societies just for men? I suppose if there are men daft enough to want to hide away from women, then they ought to be free to do so, provided they don’t wield power and exclude women from it. I’ve been a foreign correspondent and covered wars in the Middle East. I often thought that war was something of a men’s club and, therefore, a good illustration of why women ought to have a great say in the way the world works. I won’t go into how this plays into the novel here, because I don’t want to give things away. Suffice to say that Mozart would’ve agreed with me. There is little violence shown on the page in this book. Was that a conscious stylistic decision? Do you think there's more power in what we don't know? With a female narrator in the Eighteenth century, my options for tough-guy action were limited. But that was deliberate. 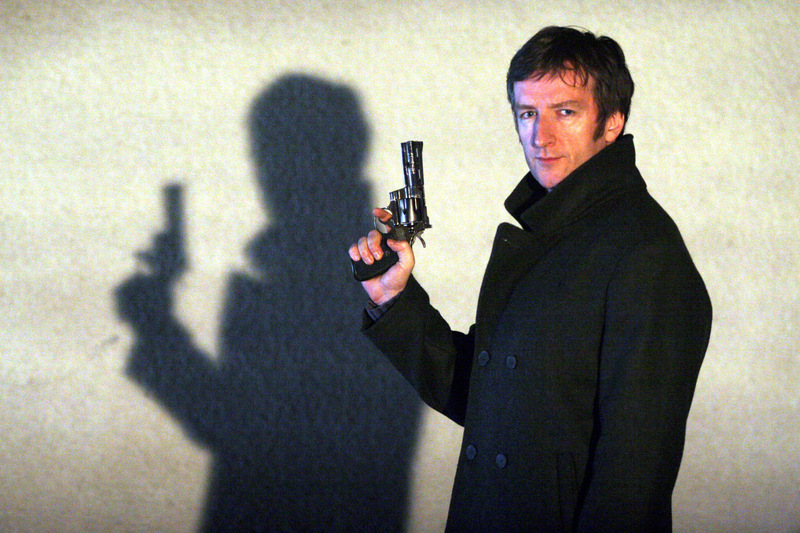 I like to use the crime novel – which is often thought of as being full of violence – and to challenge myself to make the unveiling of the crime more internal. After all, at the heart of the novel I’m trying to show who killed Mozart, of course, but I’m also highlighting the love between Wolfgang and his sister. Murder is the catalyst for the revival of that love. You definitely have sold me on it. Thank you, Matt.